How healthy are our forests after the pine bark beetle epidemic? What other diseases and insects are affecting our forests? Is it true that treatments for pine beetles can make trees susceptible to other problems? how can I help my trees stay healthy? Estes Valley Land Trust (EVLT) begins its Educational Summer Breakfast Series on Saturday, June 11th at 8 a.m. This first event is entitled “What’s Happening in Our Forests?” and features two experts who will discuss forest health and factors currently affecting our trees. It will be held outdoors on the grounds of Eagle Rock School. The public is welcome. The deadline for reservations is Monday, June 6th. Attendees to EVLT’s Breakfast Series enjoy a delicious catered breakfast and socializing in a beautiful outdoor setting, followed by an educational program. This year’s series, themed “Woods and Water,” explores the changing dynamics of our forests, rivers and streams. Two speakers will present at this June 11 event. 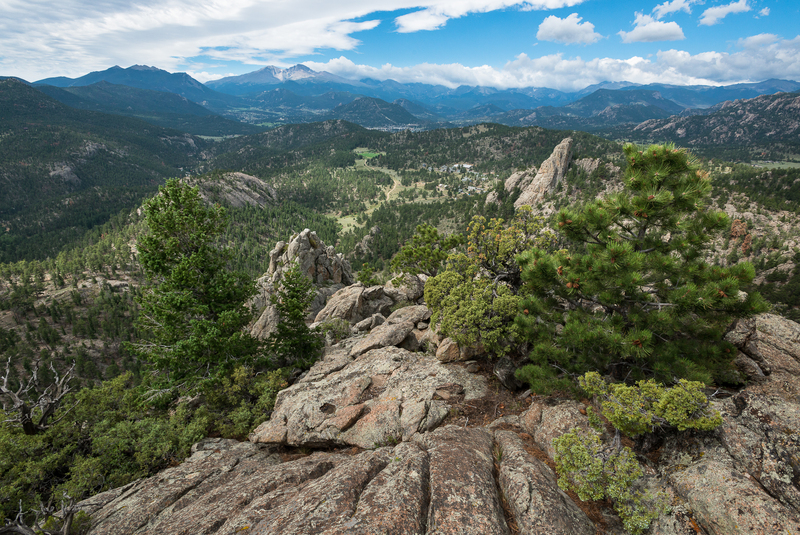 Boyd Lebeda, District Forester for Colorado State Forest Service, will discuss the findings of a 2015 study investigating the current health of Colorado’s forests. He will also address various forestry issues in Colorado. Brian Verhulst, Forest Ecologist at Rocky Mountain National Park, will discuss undesired impacts from bark beetle treatments, including various diseases and insect infestations, that are being seen in landowners’ trees. The location of this breakfast event, at the base of Eagle Rock, will lend a dramatic setting for the discussion on forest health. In 1993 the founder of Eagle Rock School, American Honda Education Corporation, forever preserved the natural beauty of 463 acres of the property’s open space with a conservation easement held by EVLT. The charge for the event is $15 ($5 for K-12 students, $0 for preschoolers), payable by check or cash at the breakfast. The delicious breakfast is served by Catering for All Occasions and includes an egg entrée, fresh fruit, pastries, juice, and hot coffee. 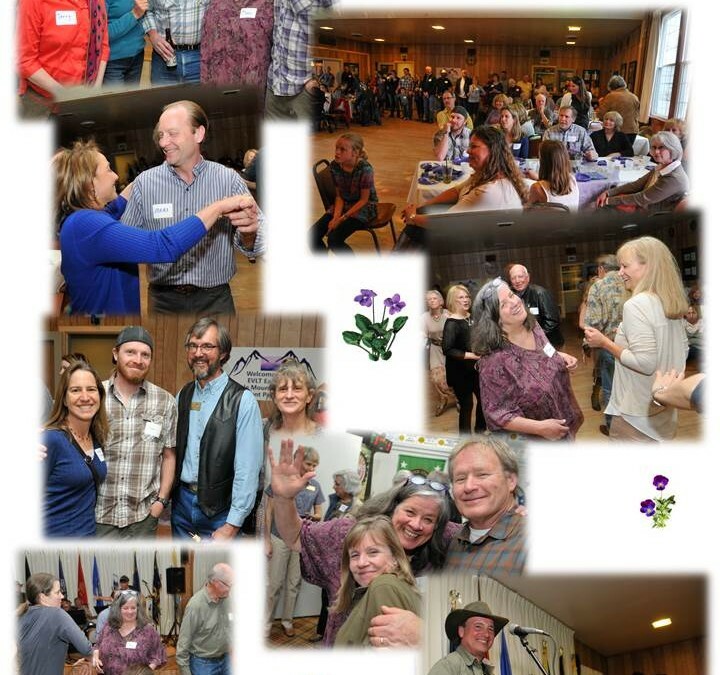 Reservations for the breakfast event are required no later than Monday, June 6th at 5 p.m. You may call the Land Trust office at 970-577-6837 (you may leave a message) OR send an email to evlt@evlandtrust.org. The first and last name of each attendee should be provided so name tags can be made in advance. Please provide an email address so you can be notified of an alternate location in case of rain. All reservations will be confirmed. To reach the Eagle Rock School Conservation Easement from Estes Park, remember that Dry Gulch Road is closed at Highway 34. Instead, leave Estes Park traveling north on MacGregor Avenue until it reaches the entrance to MacGregor Ranch. The road makes a sharp right as it becomes Devils Gulch Road. Continue 3 miles. Veer right on H Bar G Road. Proceed 0.4 mile and turn right on Dry Gulch Road, passing the “road closed” sign. After 0.2 mile, turn left on Notaiah Road. (There is a sign for Eagle Rock School.) Continue on this road, following the “Land Trust” signs to the parking area for the event. Please remember this event will be held outdoors. Bring your own chair, a jacket, hat, sunglasses, sunscreen and drinking water for personal use after breakfast. As always, dress appropriately for unpredictable weather. We have developed this spotlight feature because we want the world to know that we have many awesome members of EVLT. Take, for example, John and Sally Stevenson. 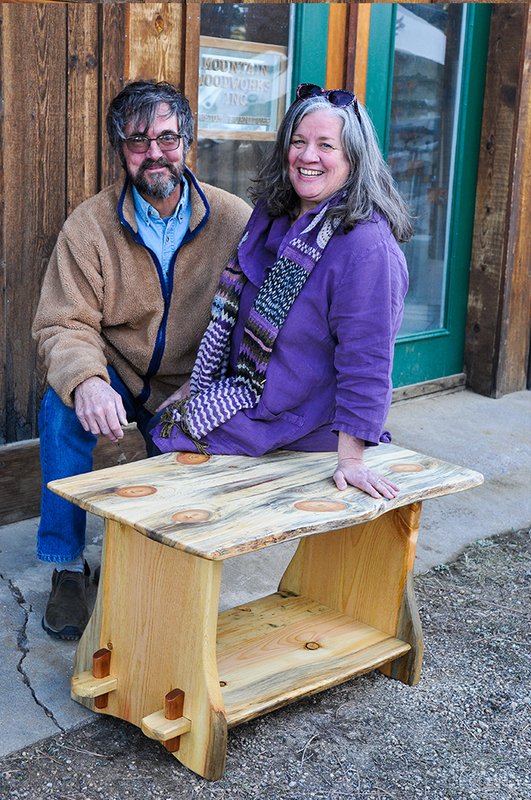 John and Sally have been faithful EVLT members and supporters since they moved here in 2006. They do not own a conservation easement property, yet they are committed to EVLT’s mission. In addition to becoming members, they also have been volunteer easement monitors since 2006, and have completed over 60 monitoring site visits and reports. They have partied with us at least twenty times over the years, attending breakfasts and special events. 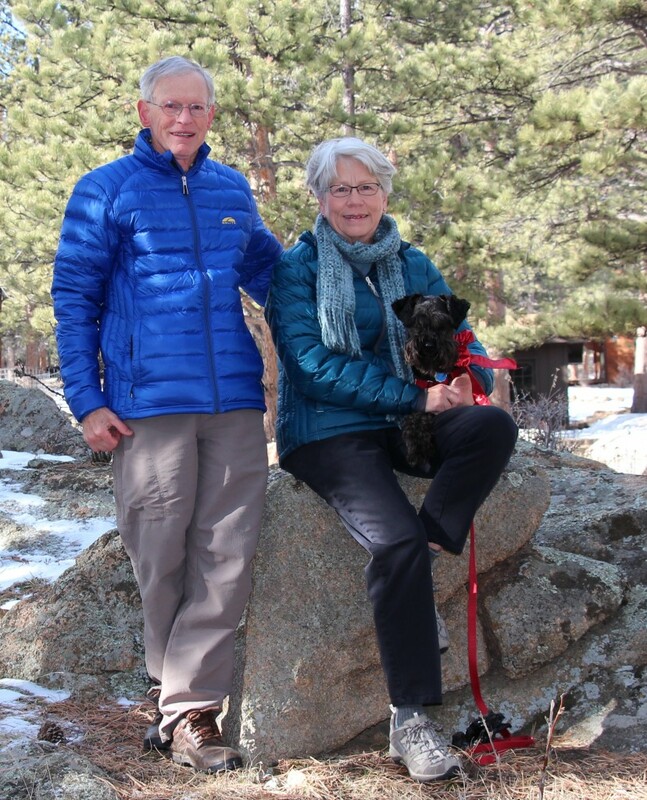 And our thanks to supporters like John and Sally who are helping EVLT ensure that the Estes Valley remains the beautiful place that we all love. What can you do to help the Land Trust? It’s really pretty e asy and doesn’t take a lot of your time. Just get involved in our 2016 Membership Campaign. And we’re providing two wonderful incentives to get you started. Here’s how it works. 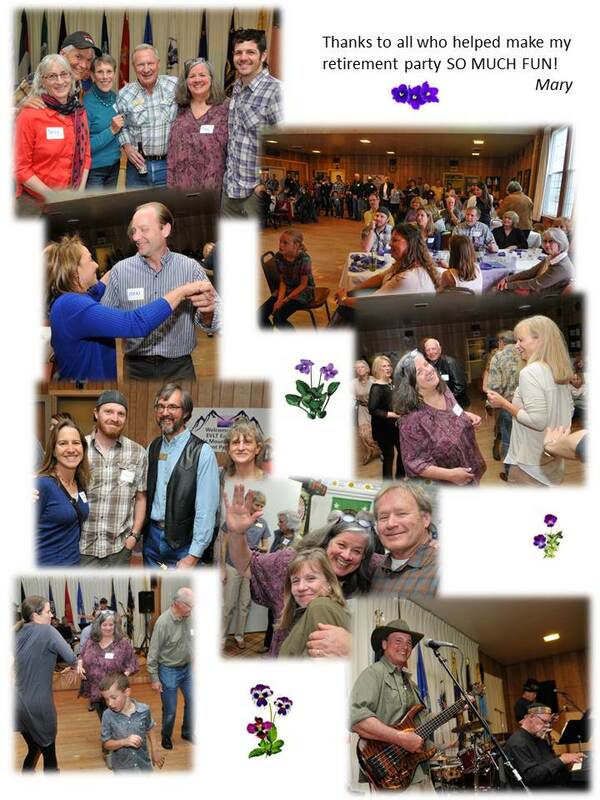 Talk to your friends and neighbors to get them involved in the Land Trust. For every new membership you generate, we will provide you with two $5.00 discount coupons to be used at any of the three summer breakfasts. There is a limit of one discount coupon per person per breakfast, but here’s the best part. 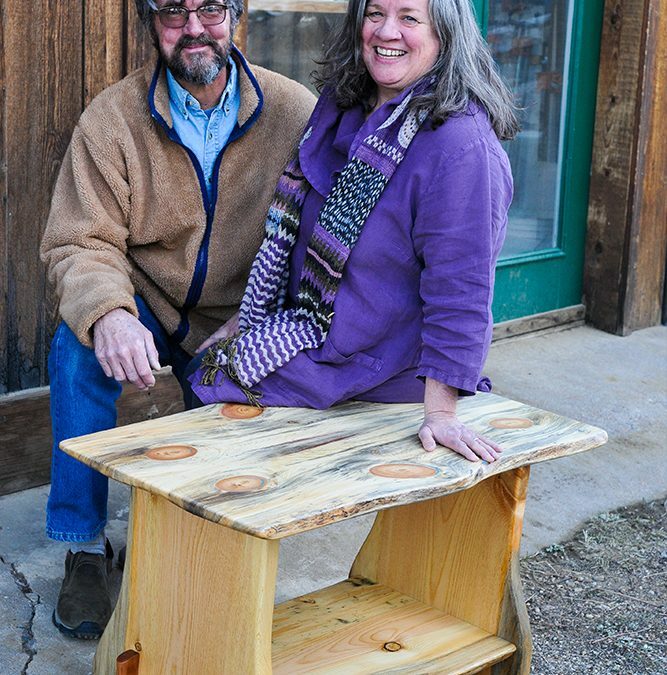 In addition to your breakfast discount coupons, you and the new member will each have your names placed in a drawing for a one-of-a-kind coffee table handmade by our own Land Trust President and master craftsman, Leo Weber. Valued at over $1,200, this coffee table would be a perfect addition to your home. OK, so now you are getting excited about this, right? You can can click here to download our membership form to to get started. Complete the form and mail it to us. Also, we will have a membership table at each of our three summer breakfasts, along with the beautiful table you could win. The drawing will take place at the August 20th Breakfast, and you will be entered each time you generate a new member. If you are not comfortable soliciting new members, consider giving a membership to one of your friends. You will still qualify for the drawing. 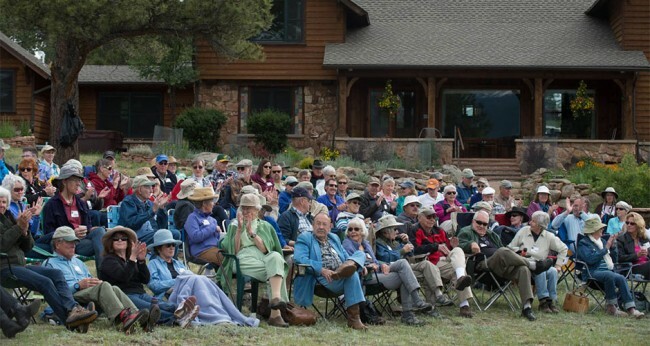 With the explosion of new residents moving to Colorado’s Front Range, preserving open space in the Estes Valley has never been more important. So let’s get going! We know you will do your part. As of Monday, May 16, 2016 Jeffrey Boring assumes the position of Executive Director of Estes Valley Land Trust. Jeffrey’s work in the conservation field began 18 years ago with The Nature Conservancy in Georgia, helping direct a land protection campaign that targeted land acquisition along the 180-mile Chattahoochee River. This experience included partnering with State agencies, private landowners, and The Trust for Public Land and was instrumental in forming his conservation ethic and career. 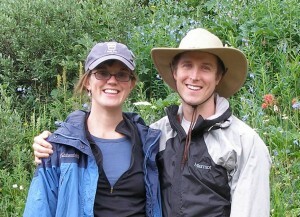 After completing his master’s degree in Conservation Ecology, Jeffrey served as the Director of Conservation at Athens Land Trust before moving to Colorado in 2004 to manage a water quality monitoring program for the Big Thompson Watershed Forum. For the past 8 years, Jeffrey served as an Open Lands Resource Specialist in the Larimer County Natural Resources Department. In this position he has been part of a conservation team that has protected more than 43,000 acres of land within the county. Jeffrey’s experience working for two land trusts and a local open space program provides a strong foundation in conservation and a set of skills that will benefit EVLT. 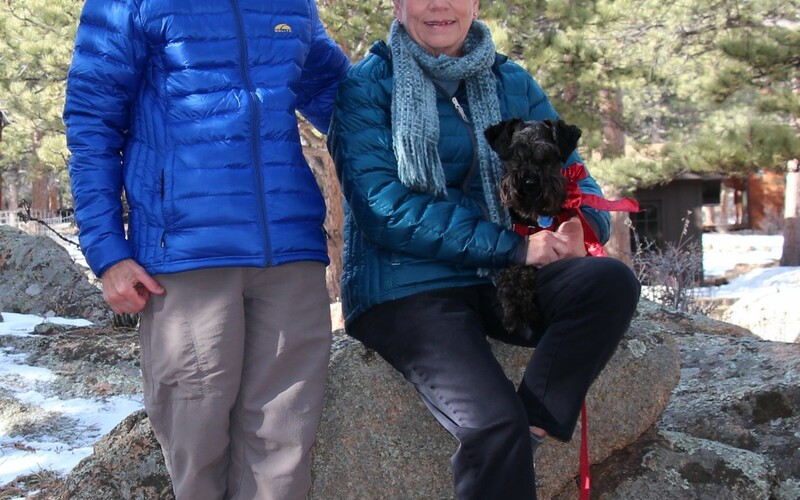 He has developed strong working relationships with organizations that are critical to the success of EVLT, such as the Town of Estes Park, Rocky Mountain National Park, and Colorado Coalition of Land Trusts. Jeffrey steps in as the new Executive Director on May 16, replacing Mary Banken who will be retiring after nine years with EVLT. Please stop by to meet Jeffrey at one of our EVLT events or at the EVLT office at 1191 Woodstock in Estes Park.